Sequencer is a beat creation app available for Windows Phone, Windows 8, and Android. 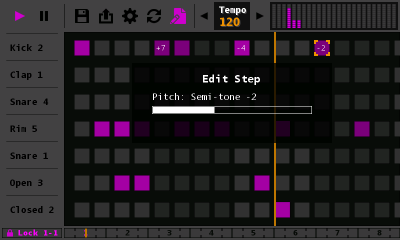 Sequencer is a beat creation app available for Windows Phone, Windows 8, and Android Devices. 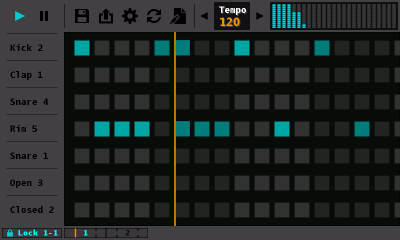 Use the step sequencer to quickly jot down your musical composition ideas. Sequencer comes with 70 different sounds contained in two sound packs. The Drum Kit sound pack includes standard sounds like kicks, claps, and snares. The Instruments sound pack includes sampled musical instruments like violins, guitars, pianos, and saxophones. Sampled sounds also support pitch adjustment with a range of one octave up and one down. Using samples isn’t the only way to get sounds out of Sequencer. The app also comes with a sound creation feature called “Synth Mode”. 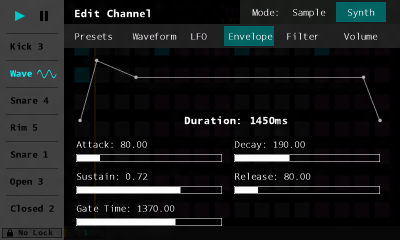 Synth mode is just like its’ name implies, a fully functional three oscillator synthesizer. 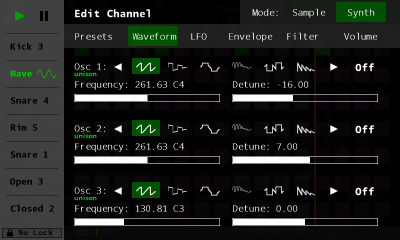 Each channel supports a separate synthesizer, so you can make an entire beat out of synthesized sounds. This feature is good for brainstorming electronic styled music. The synthesizer comes with the usually settings in a synth, like an LFO, low-pass filter, and adjustable amplitude envelope. Each waveform also supports a three-oscillator “Unison” mode as well. Unison mode will automatically play three waveforms in parallel. Each waveform can have unison turned on, so the synth can play 9 detuned waveforms at once. This is great for creating rich sounds with depth.